When it was created in 1913, the Federal Reserve was supposed to stabilize the US dollar. That was its stated purpose. The reality has proven to be quite different. The gap between rich and poor keeps widening. Today, more than half of US workers have less than $25,000 set aside for retirement. Thirty-six percent have savings of less than $1,000. The Federal Reserve has almost limitless power to print paper money, extend credit and create debt, thus creating the illusion of prosperity where none exists. At one time, hard work could provide a secure future for generations. Now, a person is fortunate if hard work can help them get through the day. Like a painting by Manet, the Federal Reserve has shifted facts to blurry shadows of light and dark without clear shapes. It’s an illusion that matters, not the facts. 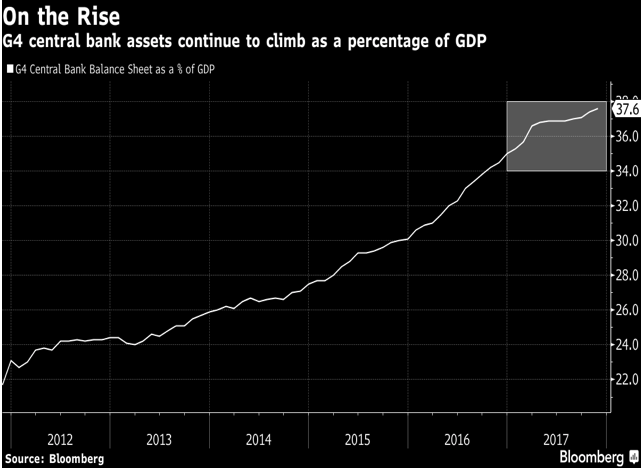 Central banks have placed great emphasis on bailing out mismanaged banks before their bad management policies cause them to fail and to prop up wall-street. Waving a magic wand, central banks can make it “all better” for banks at the expense of the consumer. A fairy godmother for the rich comes in handy. The dwindling middle class is slowly sinking under the brutal economic realities of today. Powerful bankers know that once they become big enough, central banks will bail them out of trouble. They know they will be rewarded for their failure by being handed a virtually unlimited supply of more printed money but most importantly fat bonuses! Better yet, in our era of advanced technology, printed money is no longer necessary. Money is created electronically and shifted to banks at the push of a button. Specifically, the money goes to large banks who must be kept adrift at all cost. Smaller, less powerful, banks sink or swim on their own accord without the benefit of a federal life preserver. Banks are a part of the Wall Street establishment that manipulates money by behind-the-scene slights of hand. Wall Street can fail, as did Lehman Brothers, Merrill Lynch, Citicorp and other industry giants. However, the Federal Reserve has the power to save these Big Banks – if it chooses to do so. It can let a few failures become absorbed by larger banks, thereby creating even bigger giants. Wealth is no longer about earning and creating money; it’s all about shifting money around. That is why the 1% love the Fed. They prosper from the Federal Reserve’s manipulation of paper while Main Street continues to struggle to hang on. The world of ZIRP enabled banks to offer cheap loans, while those same low-interest rates and low-yield bonds eroded Main Street’s assets through inflation. Savings accounts may be running at a deficit, thanks to Federal Reserve policies. In the Middle Ages, alchemists dreamt of untold riches by trying to turn lead into real gold. Modern technology has made that dream come true. 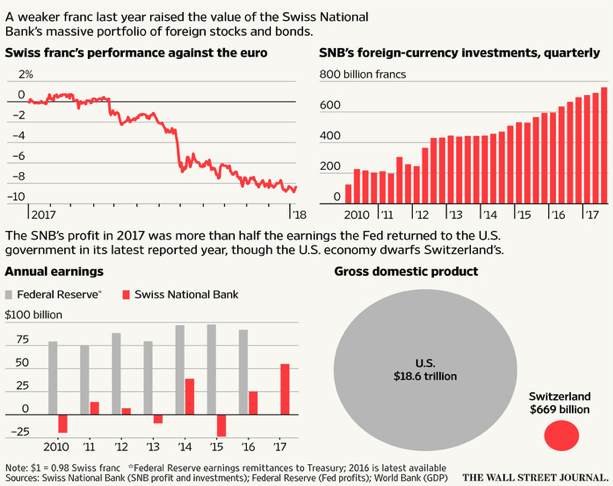 Among the dreamers, the Swiss National Bank is one of the largest. It turned its $800 billion stock and bonds portfolio into $55 billion profit. Good banking? Not quite. While a central bank is supposed to be a regulatory agency, global central banks are becoming investors by buying up stocks and bonds, especially high-yield government bonds. How do central banks purchase these assets? By creating new money and manipulating the currency. It’s as easy as that. See the chart below. Other central banks have been busy purchasing assets, as well. Central banks have accumulated assets in excess of $21 trillion. See chart below. Creating wealth out of thin air would have been a medieval alchemist’s dream come true. But they were working with lead instead of worthless paper money. Of course, the end result of all this fiat currency is hyperinflation. Zimbabwe’s and Venezuela’s economic collapse are the logical consequences of magical fiat currency gone amok. Are we far behind? According to the Oxfam International, global fiscal policies favor the wealthy. 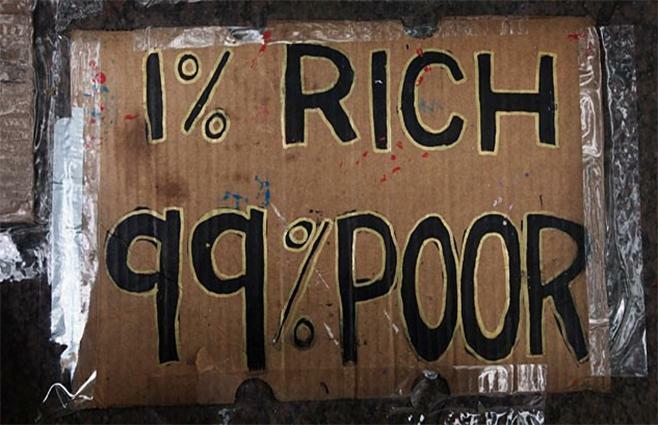 Eight out of every $10 dollars created ends up with the richest of the global population. Half of the global citizens do not see any increase in wealth. 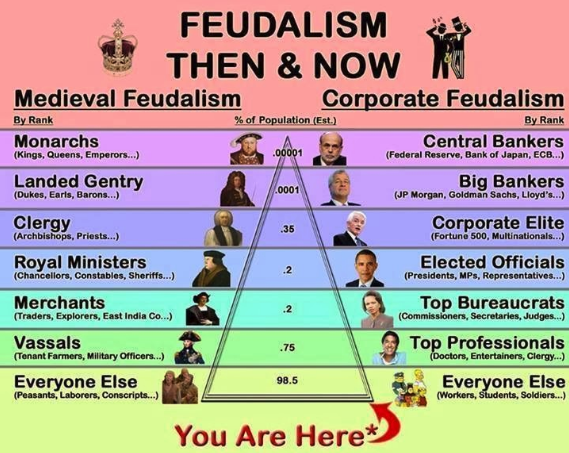 The capitalist system, which created wealth and prosperity for all workers is gone and has reverted to the feudal system thanks to central banks, where kings and queen bask in riches while the rest of the population struggle to find a morsel of cake to keep it alive. Unless wealth is distributed more equitably, we may find ourselves living in a feudal system and bowing to the royalty that is the central banks.